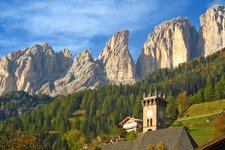 The enchanting world of the Dolomites - ancient legends and myths characterise the famous pale mountains. 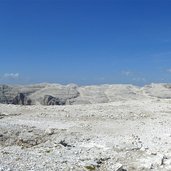 Already some 40 million years ago those mountains were formed, which got their name from a limestone rock called dolomite. 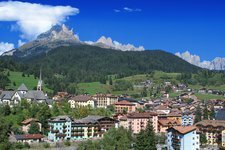 See panorama View over the Sella highlands: from the funicolar station at Sas Pordoi to Piz Boe and Selva peak. It is known that the via ferrata Piazzetta is very challenging. The climb is really long, and therefore recommended only in case of good weather conditions. It is well-secured, but you will need strong arms and physical condition to master it. 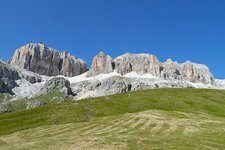 Today we will climb the western ridge of the Marmolada, the Queen of the Dolomites, on the “Hans-Seyffert-Weg”. Along this via ferrata we’ll find the remains from the theatre of the First World War and it also passes through a glacier tongue, which makes this via ferrata very versatile. The first cliff of the via ferrata delle Trincee has a notorious reputation for it’s climbing difficulty. 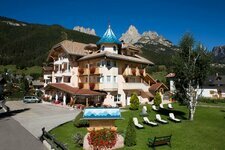 However, the effort expended is rewarded by magnificent, panoramic views of the Marmolada and Tofane mountains. Here volcanic rocks can be found, something which is atypical for the Dolomites. 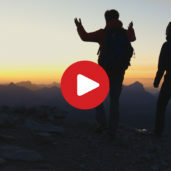 We climb the legendary Rosengarten in the Dolomites on the Via Ferrata Masarè. This Via Ferrata is really varying, it gets by many ridges and crevices. At some points it is quite exposed and we will have to climb around some rock formations. 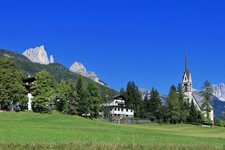 In Trentino, at the foot of the Marmolada, the queen of the Dolomites, there is the Val di Fassa valley, characterized by its majestic natural scenery. 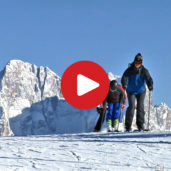 This valley is not only a paradise for those who love winter sports, but also bears natural gems, centuries-old traditions and fairytale-like places that leave lasting impressions. 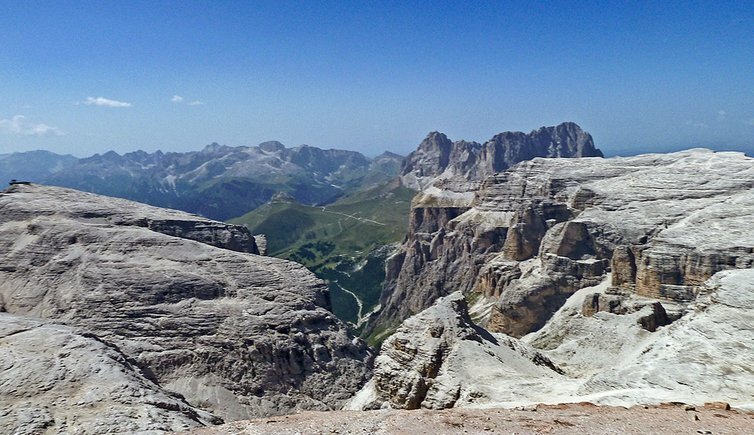 And in between those mighty pale mountains lies the Fassa Valley, with a rich number of hiking trails taking you right to the heart of the beautiful natural scenery called Dolomites. 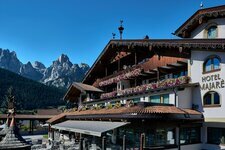 The valley is characterised by the Avisio river and thanks to such famous mountains as the Sella Group or legendary Marmolada it is one of the most renowned Alpine valleys. 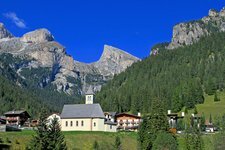 Val di Fassa is by the way the only Trentino valley where the Ladin language is still spoken. Called “Ciampedel” in Ladin, this is a place rich in history and culture.